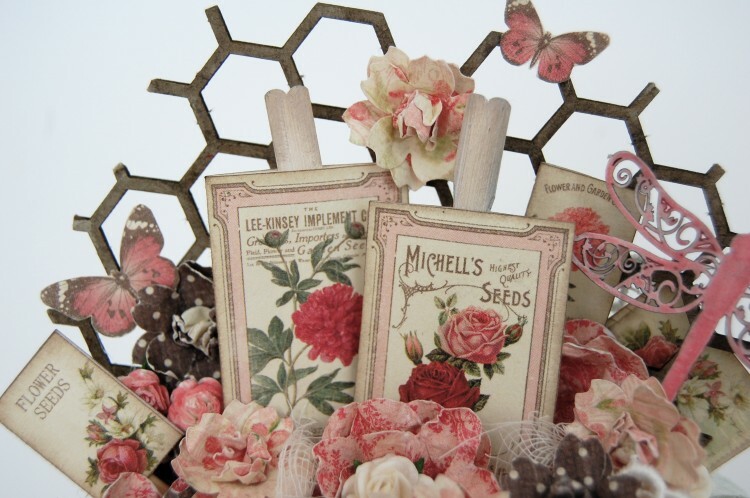 Having so much fun with the new Vintage Garden collection! 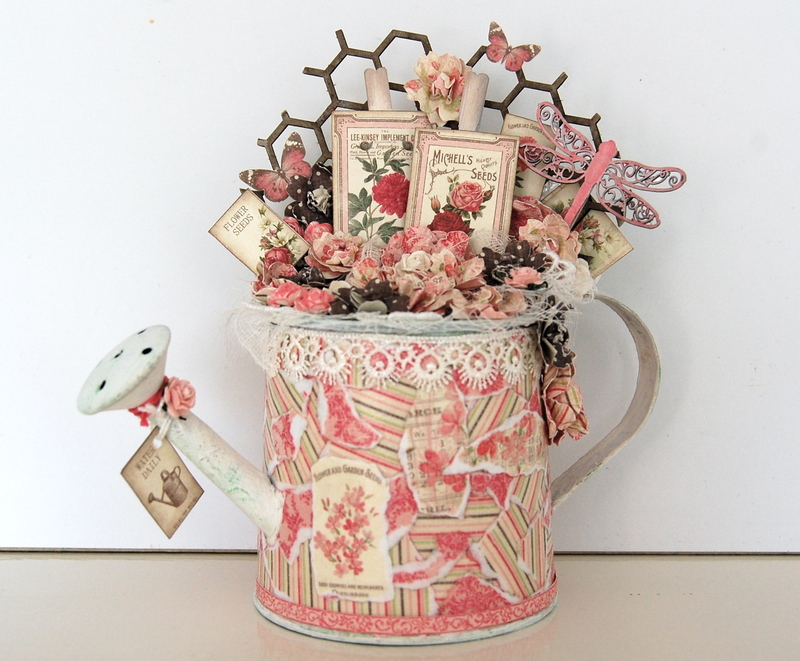 These papers were just perfect for this watering can. I glued down small pieces of the papers with mod podge. Just love to play with all the cut outs, borders and tags sheets. 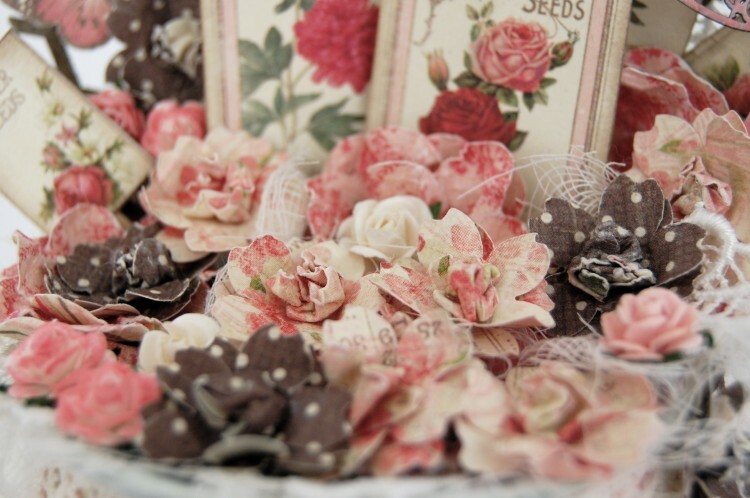 Mostly all of the flowers were made with these beautiful papers also, except the tiny roses. Astoundingly lovely – what a wonderful creation! Delightful!!! What could be more beautiful and whimsical?! This looks like a project that was so much fun to crate!